In 1975, Annette Messager launched a cycle entitled “Annette Messager : the cheater” during which La Femme et… was published in Geneva by another artist, John Armleder. Mixing topics from body art to image editing, the book is composed of a series of photographs presenting the made-up female form – the female artist’s naked body – on which interior and exterior, drawing and photographs merge, accompanied by laconic captions. The cheater, notes Annette Messager, “is never idle and is never lacking material as she plays with herself and on herself.” The tone of the book is sometimes moving (“the woman and the operation”), frankly comical (“the woman and the bearded one”), or falsely tragic as in brief sketches (“the woman and death”, “the woman and fear”). For this faithful republication, the 1975 book was reassembled with the help of the artist and a few images were added. 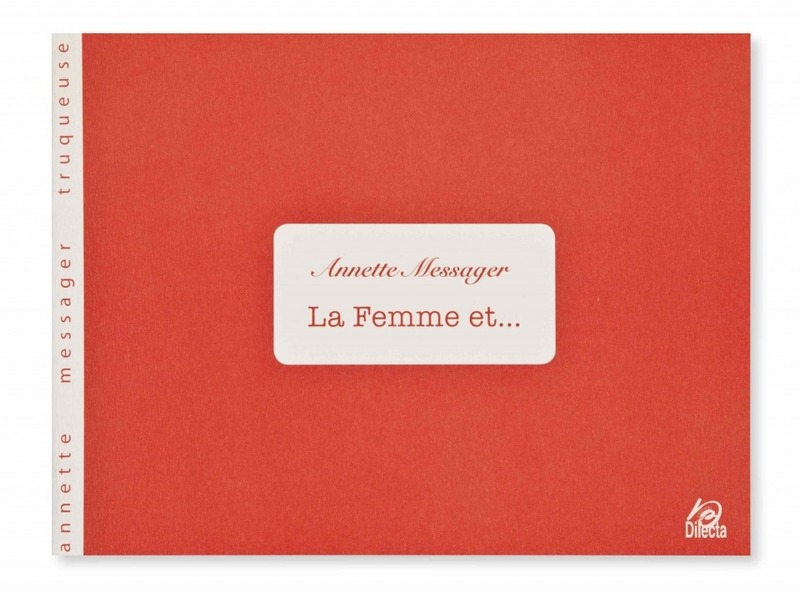 A numbered special edition with additional paragraph by Annette Messager is also available.